The greater part of the first and second artery disappear. In adult life first arch artery is represented by the maxillary artery and the second arch persists for some part of fetal life as the stapedial artery. "C for Carotid, C the third letter of the alphabet." 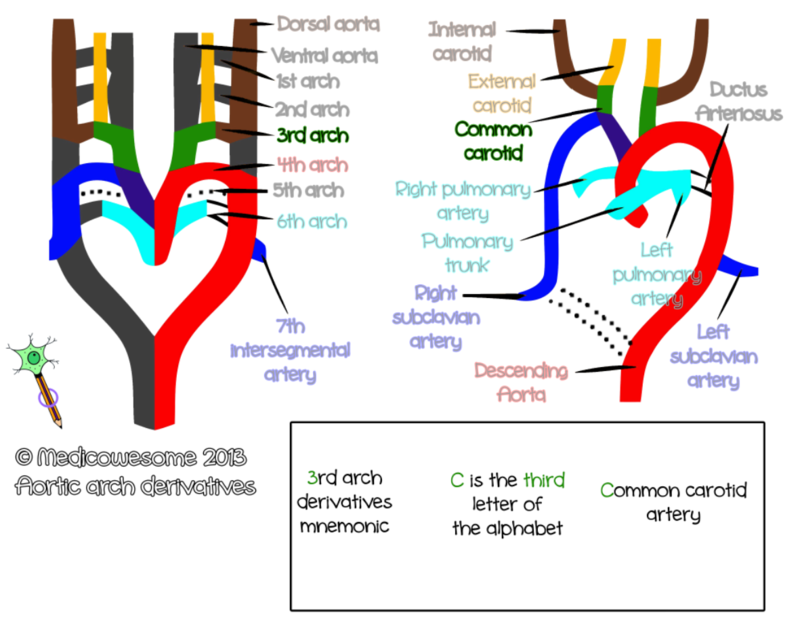 The third arch artery gives off a bud that grows cranially to form the external carotid artery. The internal carotid artery is derived from the distal part of the third arch artery and cranial most part of the dorsal aorta. The brachiocephalic trunk is formed by the right horn of the aortic sac. "fOUR rhymes with AOR for Aorta. The ascending aorta is formed from the truncus arteriosus. 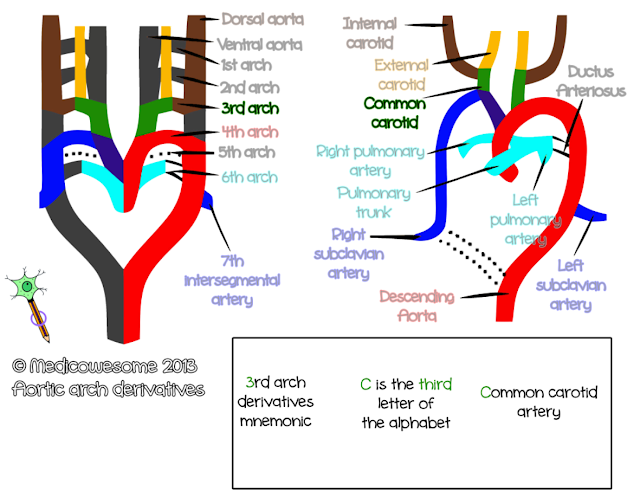 The arch of aorta is derived from the vental part of the aortic sac, it's left horn and the left fourth arch artery. Pulmonary trunk is derived from truncus arteriosus. 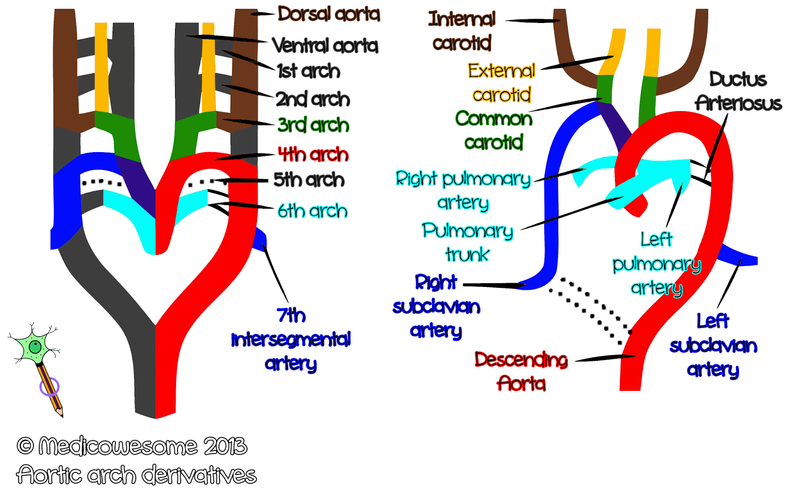 The right subclavian artery is derived from the right fourth arch artery and right seventh cervical intersegmental artery. On the left side, the subclavian is derived entirely from the seventh cervical intersegmental artery.